"People ask Bob, do you think it was disinformation? But the information is so extensive that it just seems inconceivable that someone could have made this up." 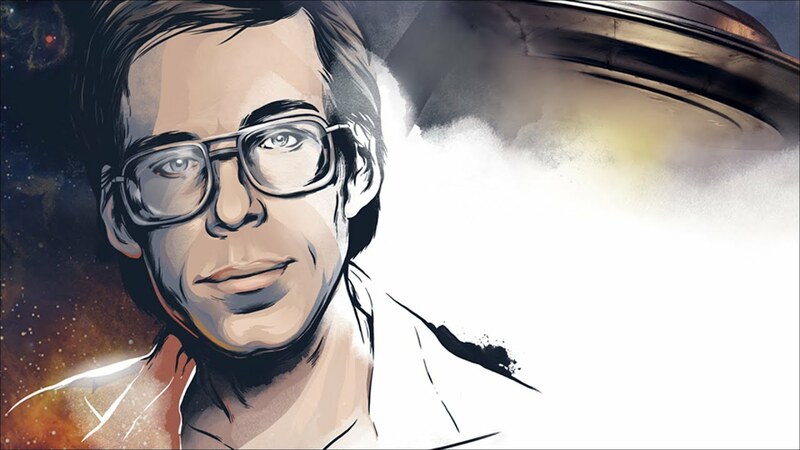 The following is a compilation of three articles related to the testimony of insider and whistleblower Bob Lazar. I also included a documentary and interview of him from the early 1990’s. As with other insiders of this type, I make no claim of his authenticity. Lazar came forward to a Los Vegas TV station in 1989, claiming to have worked for the then little-known Area 51. Lazar alleges to have developed antigravity propulsion devices by reverse engineering extraterrestrial spacecraft in the possession of the military-industrial complex. He says he developed a fuel for alien reproduction vehicles being worked on at the facility, having the atomic number 115, which was able to bend space and time around the craft. This technology enabled a vehicle to travel faster than light, moving across vast distances in only a few minutes. Lazar also claims to have a connection to Majestic clearance, connected to a well-known high-level multinational group called the Majestic 12. In the second article in this compilation, there is an excerpt from an interview transcript between Bob Lazar, Gene Huff, Michael Lindemann, Ralph Steiner, and an anonymous physicist, discussing a peculiar book Lazar encountered during his time at the facility. It was apparently made of a tough mylar-like material with 3D images, containing a history of the human race and an extraterrestrial civilization called Reticulum four. Lazar’s testimony correlates to another insider and whistleblower, Corey Goode. “In just one of the “UN Type Federations” that was the Human Types of “Off World” Beings Only there were 22 Groups with 22 competing Claims of creating the “Current Human Species”. Quite possibly one of the groups mentioned by Goode is the same group responsible for producing the book discussed by Lazar. Lazar’s testimony regarding the development of advanced military craft or alien reproduction vehicles also sounds very similar to the plot of season 10 of the X-files. Finally, Dr. Michael Salla produced a scientific analysis of Lazar’s claims in regard to element 115, the alleged fuel source for antigravity spacecraft. Dr.Salla details the evidence to suggesting the fuel source is real, as well as addressing some of Lazar’s critics. Lazar’s testimony remains a pillar in the field of Ufology, and has recently been bolstered by accounts from other insiders, such as Goode mentioned above, but also William Tomkins. Tomkins claims to have worked with extraterrestrials in the secret space program, developing large cigar-shaped alien reproduction vehicles sighted by thousands of people over the years. Here is an interview documentary of Lazar from the 1990’s. This is the fascinating story of the man who worked for the most secret US governmental facility involving alien crafts and otherworldly technology and dared to spill the beans about it. In 1989, a man named Robert Scott Lazar contacted a local Las Vegas TV station (KLAS) asking for a chance to make his story public. Lazar claimed he had been employed as a physicist on project Galileo, the government’s most highly classified project at the time. The activity focused on reverse-engineering of alien technology so that the government could put it to good use, and studies were carried out at a top-secret base dubbed S4, located 10 miles (16 kilometers) south of the notorious Area 51, near the Papoose lake. According to Lazar’s description, the S4 facility had nine aircraft hangars embedded into the mountain. The hangar doors were designed at an angle matching the mountain slope and were also cloaked using natural material. Lazar claims he had seen nine different alien vehicles at the base during December 1988 and April 1989 when he worked there, and he presented technical details regarding their propulsion mechanism which functioned on amplified gravity waves generated by a reactor placed on the bottom of the craft. His activity included researching the fuel for the craft, a compound with the atomic number ‘115.’ This element had unusual properties that allowed the flying saucers to bend space around them, and it couldn’t be synthetized on earth. This alien technology allowed for point A and point B to be dragged together, thus reducing the traveling distances to a few minutes flight regardless of the distance. I am exactly sure of what I saw. I know what mainstream science is like, I know where physics stands–I know all of that–and this is an extraterrestrial craft, this technology is hundreds and hundreds of years in advance of us, and that’s the end of that story, Bob Lazar stated. Lazar allegedly received briefings regarding the history of extraterrestrials on Earth for the past 100,000 years from aliens who originated from the forth planet of the binary stellar system Zeta Reticuli 2, the ones known as ‘greys’. He also claimed to have worked on a flying disk with a diameter of 9 to 12 meters. The craft had a commanding console and the seats were small, almost as befit for children. After he went public, his life was put at risk as he got shot once and received countless threats from different groups of interest and shady individuals. Television journalist George Knapp was intrigued by Bob Lazar’s story and so he went after more information. Unfortunately, the S4 base was out of reach since it was located on restricted ground where no one outside of the government could step in. After digging deeper into this enigmatic story, Knapp encountered even more problems that almost led him to a dead end. Bob Lazar’s background has been difficult to verify. His hospital birth records, college manuscripts and employment evidence had all been erased and there is no evidence of him working at the Los Alamos National Laboratories. However, his name appeared in a telephone directory of Los Alamos scientists and a picture of him appeared in the July 1982 edition of the Los Alamos Monitor, showing a picture of Bob standing by a jet car and referring to his employment as a scientist with Los Alamos. Bob Lazar offers a consistent amount of evidence supporting his assertions and he has since gained many followers. To them, Lazar is a very credible source with a strong background in physics and engineering. However, there are many skeptics who think the entire scenario is an act played out by Lazar in order to personally benefit from it. Whatever his reasons, Lazar played a key role in propelling Area 51 to the notoriety it has today, despite being a top-secret facility. If we consider the extreme level of secrecy involving this governmental facility, it’s easy to link the disappearance of his life records to the interests of keeping Area 51 as an almost inexistent facility. If Lazar is correct and also telling the truth, his testimony might be the single most descriptive account of what is going on right under our noses. Following, then, is an excerpt from the book “UFOs and the Alien Presence” (1991 by Michael Lindemann ISBN 0-9630104-0-9). It is from an interview with this Holy S-4 Mage & Physicist, Bob Lazar. BL: “Right, that’s as stated in the book. But of course, I can’t attest to the validity of the information in there. Unfortunately, when I first opened the book the way it was sitting, and was playing with the pages and the drawings in there, it was some time before I realized it had to do with a lot of the alien civilization. Maybe I could have learned a lot more there. I wish to focus on some recent scientific advances that vindicate some of the information that Bob Lazar provided from his alleged experiences at S4, and respond to some of his critics. The most important criticism concerned Lazar’s initial claim in 1989 of the existence of a stable form of element 115. The existence of such an element was initially dismissed by some of his critics and became a factor in Lazar not being taken seriously. However, in February 2004 scientists announced that they were able to reproduce an isotope of 115 in a laboratory, and said that a stable isotope is possible. “[Howe:] Could there be an element 115 isotope that is solid and can be held in the hand? [Dr Patin:] “Some day down the road, I think so. If it’s true that we find something that is long enough lived. To hold something in your hand, you would need a significant quantity of these atoms. We’ve produced four atoms of Element 115 in a month. It would take you don’t have enough time in the rest of the universe to create enough that you could hold in your hand through these same kinds of production methods (that we are using). That’s why I say a future technology might allow us advances in terms of how much can be produced and the target material, maybe a better way of producing but somewhere down the road, there might be a possibility, sure. “[M]any single star solar systems have stars that are so large that our Sun would appear to be a dwarf by comparison. Keeping all this is mind, it should be obvious that a large, single star system, binary star system, or multiple star system would have had more of the prerequisite mass and electromagnetic energy present during their creations. Lazar’s idea that element 115 is formed in stars led to more criticism this time by astronomers and physicists that Lazar was incorrect since stars could not produce heavy metals with atomic numbers greater than iron (atomic number 26) in stable stars. This criticism was raised by Dr David Morgan in 1996 whose critique was kindly sent to me by Stanton Friedman. “[Lazar] SEEMS to be suggesting that his element 115, the alien fuel source, which doesn’t exist on the Earth, should be present in those solar systems that were more massive at their inception. The implication here is that a star system which condensed out of a more massive primordial cloud should have a greater abundance of heavier elements. This is quite incorrect. Heavy elements – all elements heavier than iron – are not formed during the normal life cycles of stars. The only time when these nuclei are “cooked” is during the collapse and subsequent explosion of supernovae. The supernova explosion then spreads heavy elements throughout the galaxy. For this reason, the abundances of heavy elements in any particular star system depend NOT upon the properties of the current star, but on the properties of the nearby stars of the PREVIOUS GENERATION! Dr Morgan’s criticism of Lazar is not supported by recent breakthroughs in understanding the formation of heavy metals in stars. It has been discovered for example that heavy metals with higher atomic numbers than iron (26) can and are found in stars in their normal cycle rather than just through supernova which was the ‘old understanding’. “it does not require a supernova to create elements heavier than iron. Heavy elements can also form in the cores of massive stars before they go supernova”. “The theory has now been supported by data from the three binary, or “double” stars, studied by French and Belgian astronomers using the European Southern Observatory 3.6 meter telescope at La Silla, Chile. Each star, which is otherwise light in metal, contains an amount of lead weighing the same as the Moon. “The high abundance of Lead in these otherwise low-metallicity stars also provides detailed clues on how the s-process operates inside the AGB stars. When a Carbon-13 nucleus (i.e. a nucleus with 6 protons and 7 neutrons) is hit by a Helium-4 nucleus (2 protons and 2 neutrons), they fuse to form Oxygen-16 (8 protons and 8 neutrons). It is estimated that half of all metals heavier than iron are caused by supernova explosions where these are rapidly formed through nuclear fusion (r-process) and the other half in stable stars with low metallicity that slowly build up heavy metals in a more gentle fusion process. The new understanding of the formation of heavy metals in stars and discovery of large quantities of lead in some stars basically negates Dr Morgan’s criticism and shows that Lazar’s idea that some massive stars in the normal stellar cycle may have element 115 developed in them is a very real possibility. What are the exopolitical implications of this given Lazar’s claims that extraterrestrials use 115 for their propulsion systems? If element 115 is naturally formed in the core of some massive stars and element 115 is used in the propulsion system of extraterrestrial races, then it would be fair to assume that some extraterrestrials may have discovered how to mine stars of their heavy elements to use as a propulsion fuel. Indeed, extraterrestrials with sufficient knowledge in mining suns of element 115 and other elements may be using this as part of an interstellar trade. Indeed, such knowledge and possession of large quantities of 115 and other elements may lead to interstellar conflicts over certain star systems. Indeed, the Earth’s sun or nearby stars may have heavy elements that may attract extraterrestrial races who seek to mine these precious natural resources. We are now slowly moving to an understanding of how certain star systems might be highly prized by extraterrestrial races that seek to gain control and mine stars of heavy elements such as element 115. With new advances in physics and astronomy, Bob Lazar‘s information so widely dismissed in the early 1990’s appears to have more relevance than ever.